Thinning eyelashes are the bane of every image-conscious individual. Stubby, sparse lashes may have you going through eyelash extensions and eight coats of mascara every day. Rather than relying on these artificial methods, LATISSE® and Alphaeon® Beauty Eyelash Serum are products you can use daily to grow fuller, longer, and darker lashes. These products are clinically proven to produce fuller, thicker, longer, and darker lashes that frame your eyes in a flattering way, even without wearing mascara. Candidates for these treatments have thinning lashes and are dissatisfied with how their eyelashes fail to enhance their eyes. Individuals with spare or short lashes, light-colored lashes, or even anxiety disorders such as trichotillomania are excellent candidates for the treatment of thinning lashes. Good candidates also want to eliminate the time, hassle, and cost of eyelash extensions. 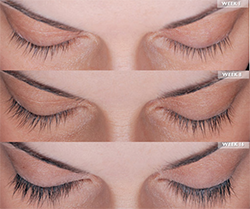 All candidates want to achieve naturally full and beautiful eyelashes with one easy treatment. LATISSE® is an FDA-approved treatment that uses its active ingredient, bimatoprost ophthalmic solution, to promote lash growth. By increasing the percent of hairs in the growth phase as well as the length of the growth phase, LATISSE® helps eyelashes grow in longer, thicker, and darker. To use LATISSE®, simply apply it topically at the base of the upper lashes once per day. By continuing treatment daily, you will continue to see the results. When used every day, LATISSE® produces noticeable results in as early as four to six weeks. Full results are visible after 16 weeks, and with continual use, the results will be permanent. Patients who use LATISSE® can have naturally beautiful, full, long, and dark lashes even without mascara or eyelash extensions. Alphaeon® Beauty Eyelash Serum hydrates, conditions, and strengthens the eyelashes to help them appear longer and fuller. Active ingredients in the serum promote hair growth and prevent the lashes from becoming dry and losing volume. Suitable for all patient types, users need only apply this hydrating serum with the applicator brush to the base of the upper eyelids once per day. The Alphaeon® Beauty Eyelash Serum should be used every day to achieve the best results. When used daily, Alphaeon® Beauty Eyelash Serum can produce noticeable results in as early as four weeks. After eight weeks, most patients observe a noticeable improvement in their overall lash appearance. 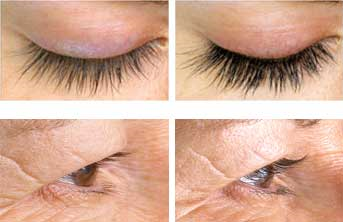 Patients who use Alphaeon® Beauty Eyelash Serum can achieve fuller and longer lashes that beautifully frame the eyes. 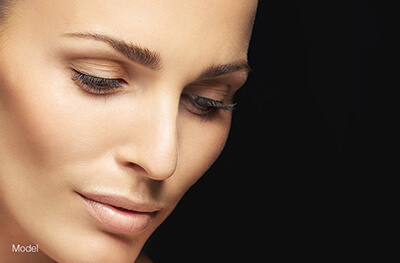 To restore thinning lashes to their former glory and achieve naturally full, thick, and dark eyelashes, consult our experts here at Plastic Surgery Specialists in Birmingham. 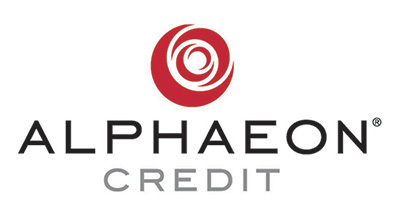 Call (205) 298-8660 or fill out our online contact form for more information about LATISSE® and Alphaeon® Beauty Eyelash Serum. We at Plastic Surgery Specialists would like to hear from you. Feel free to contact us if you have any questions or would like to schedule an appointment.